The trendy, stylish, and well-stuffed Protest Women's Aaliyah Outerwear Jacket looks great and is perfect for outdoor activity. 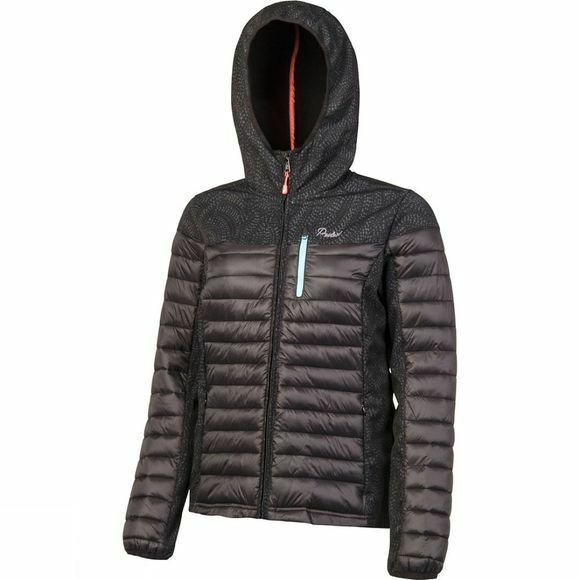 It features a quilted padded front, which insulates the body. The jacket is available in a variety of shimmering colours and is treated with a water repellent finish to provide protection. It also features a convenient front pocket, elastic binds at the hood and cuff, and a considered and elegant design assuring comfort, grace and a secure fit.